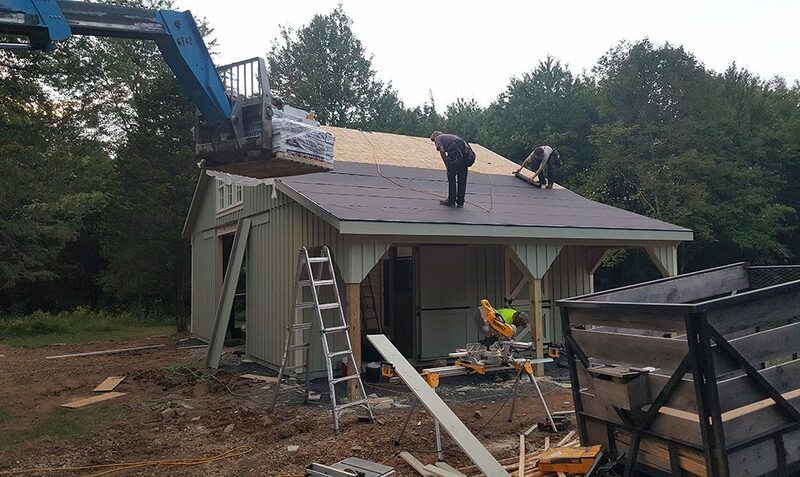 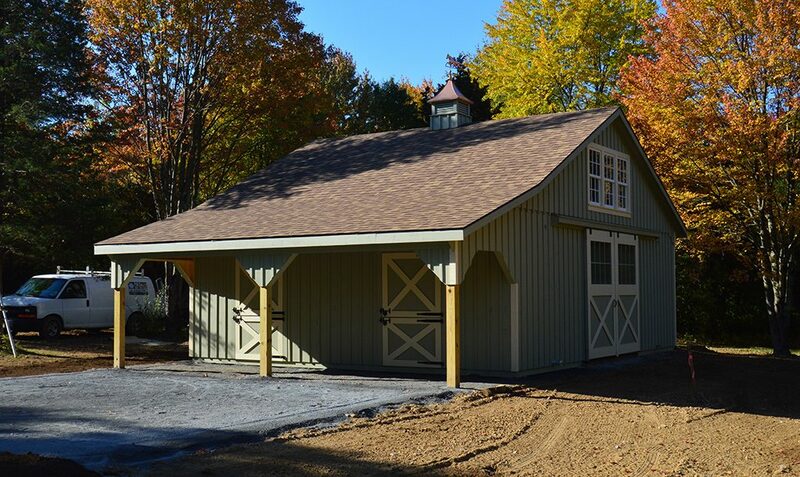 New Jersey is a great place to build custom structures, like this one we completed in Stocton! 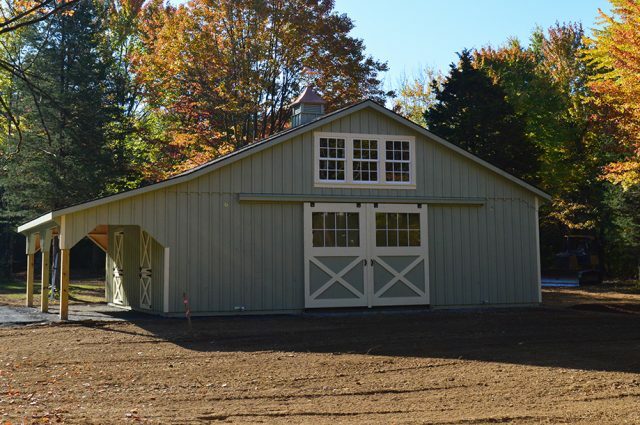 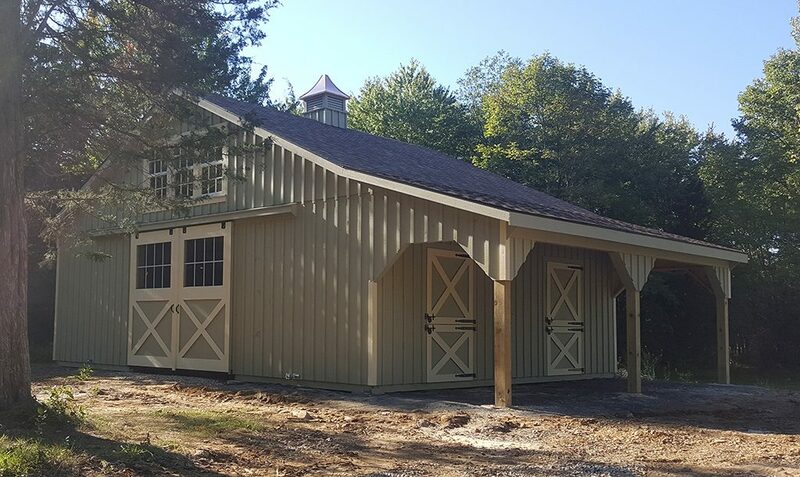 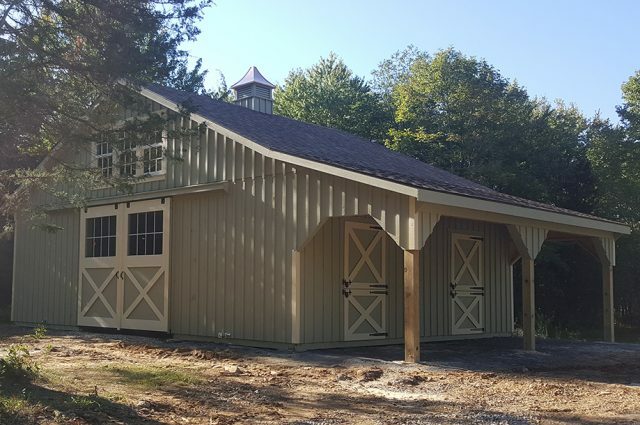 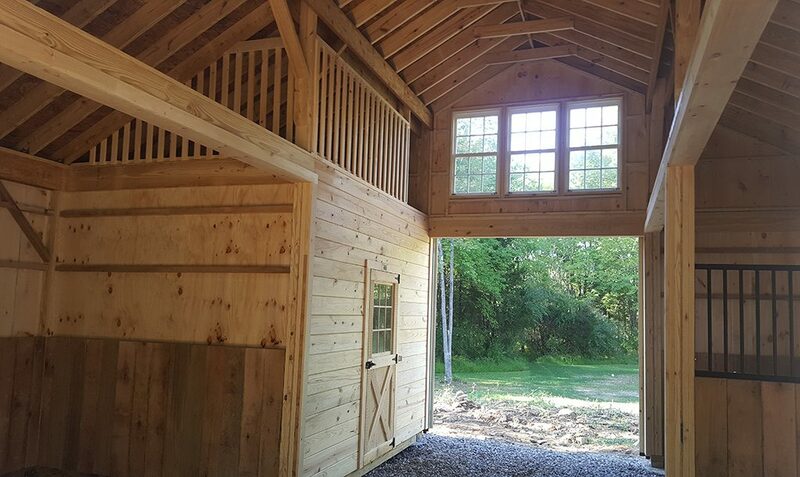 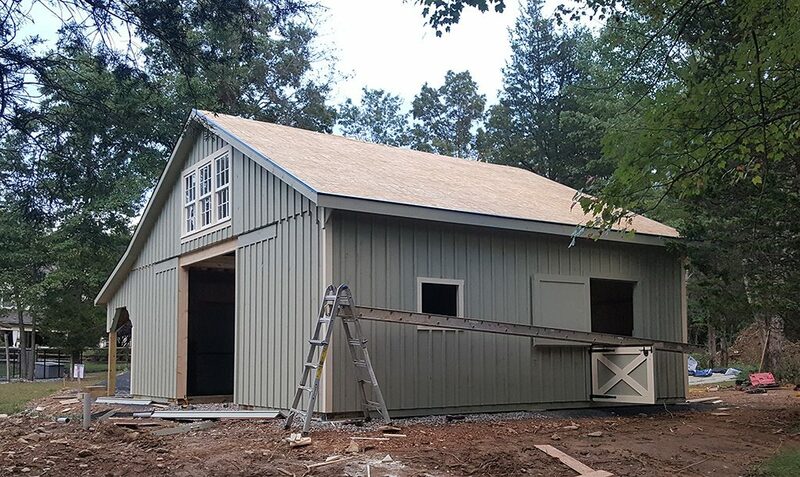 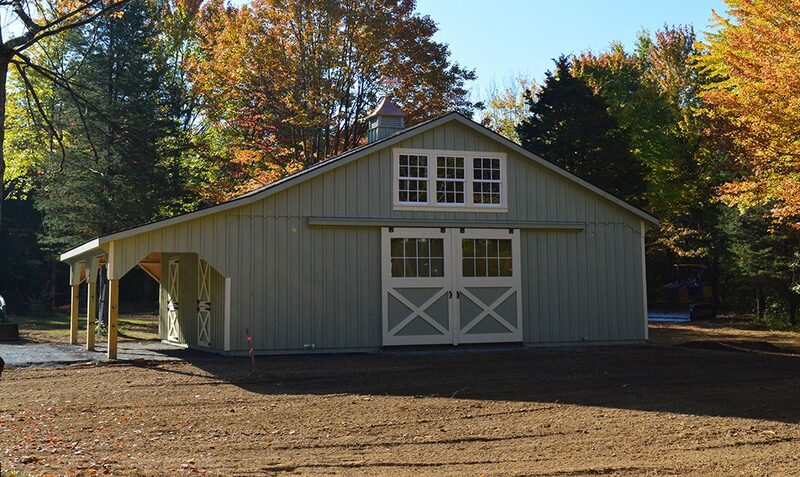 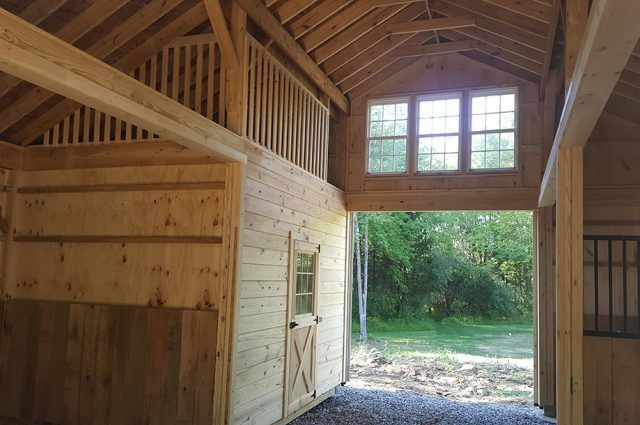 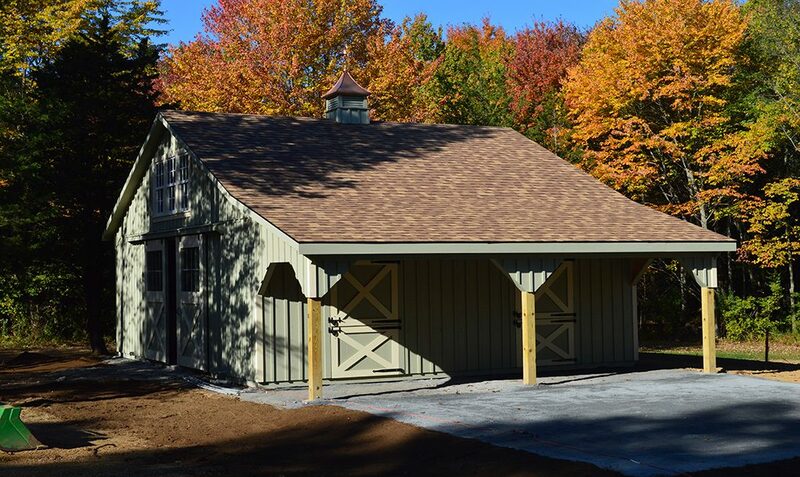 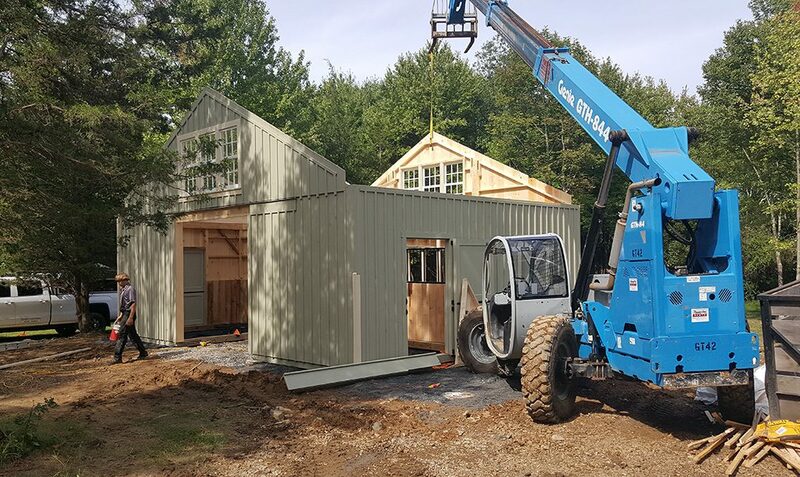 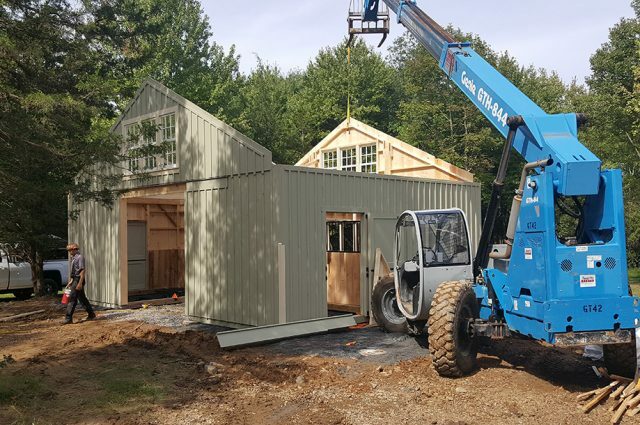 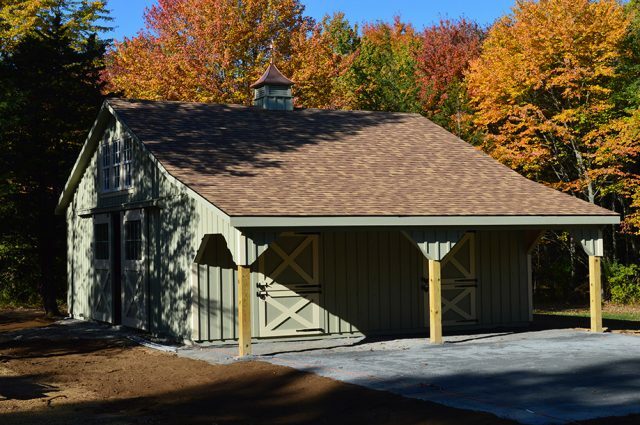 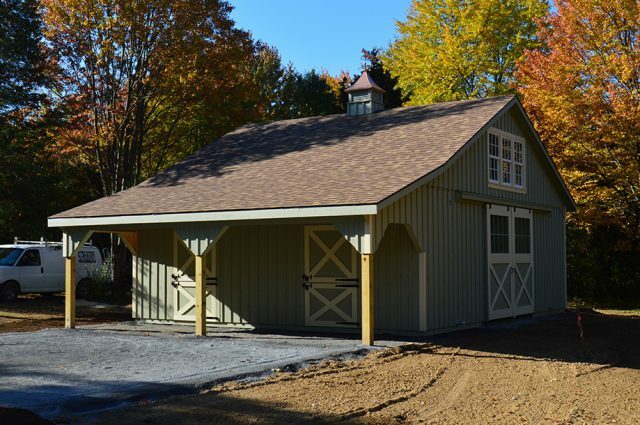 This Kennebec style barn with a 7′ lean-to is complete with three 10′ x 12′ stalls and a 10′ x 12′ tack room. 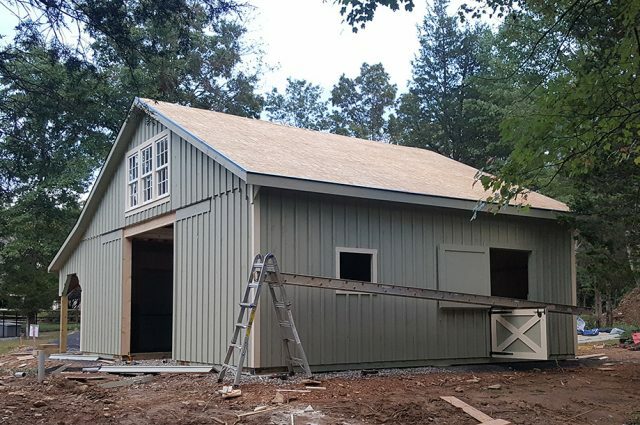 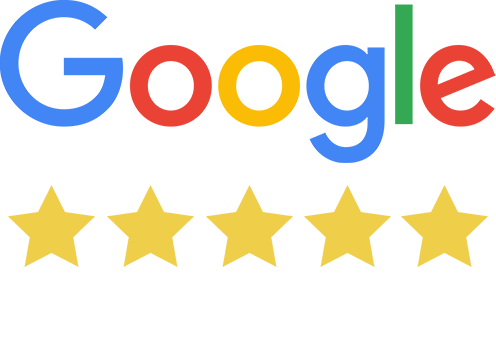 The exterior is covered in a beautiful custom paint color on the siding, windows, and doors, with both a cupola and a weathervane on the roof. 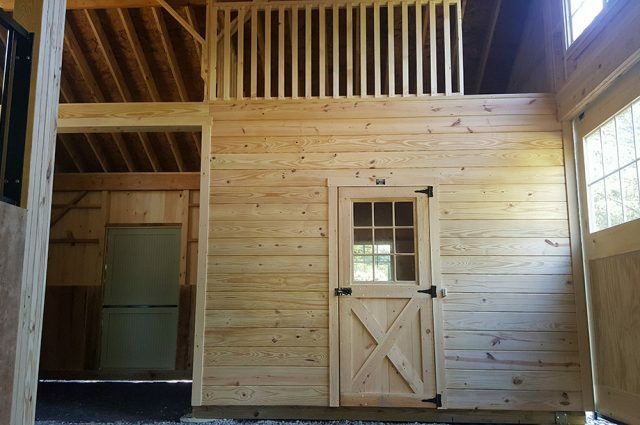 This building also features multiple dutch doors, windows in aisle doors, and windows in the tack room service door as well. 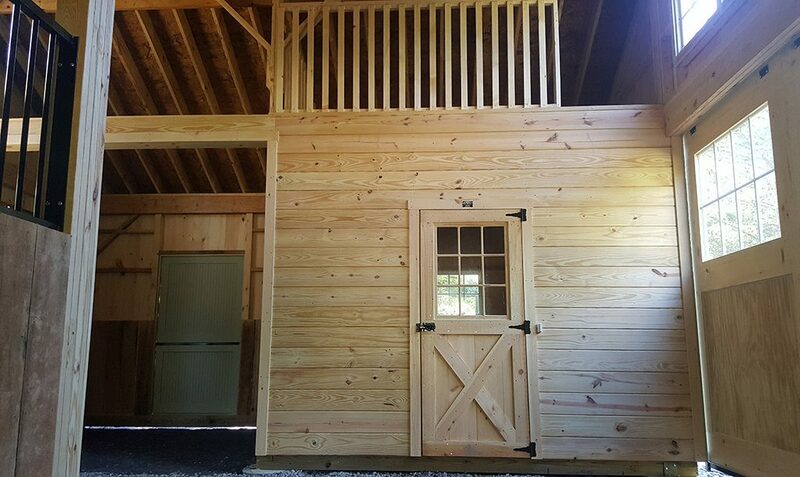 Overall, the client was very pleased with their new addition!